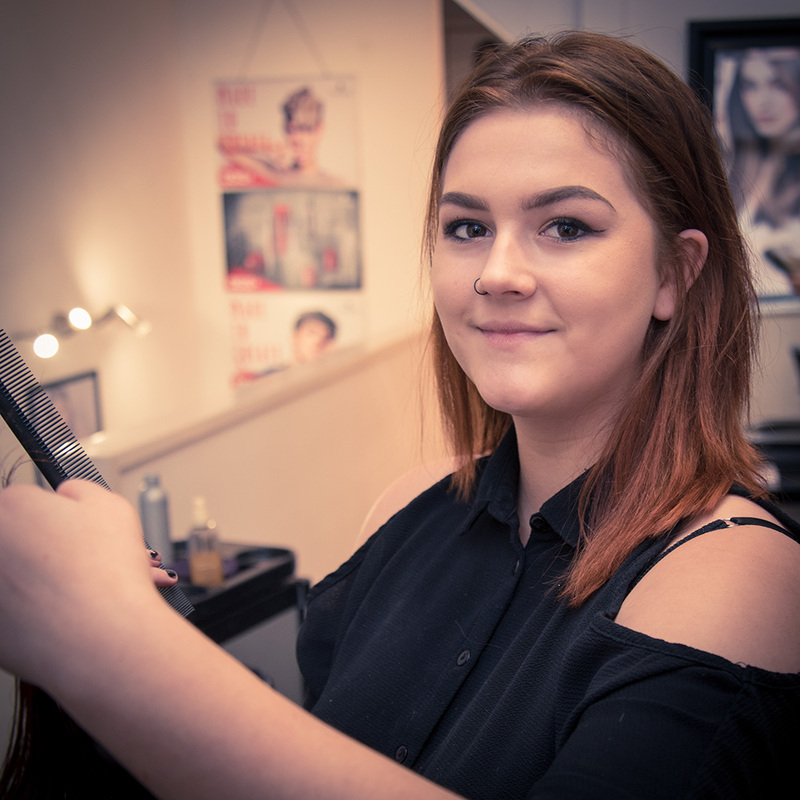 Layla Relf, one of our current junior stylists, has now been promoted to Graduate Stylist. The high quality of her work and fantastic client feedback means she's ready to take the next step in her career! Layla joined us just over a year ago and we've carried out some intensive training over this time. She has always been eager to learn new skills and techniques which has aided her fast development. She also displays a great natural flair. Check out some of her recent work! This dark-to-light demonstrates some skilful colour work. The finish looks great too! Some lovely multi-tonal hi-lighting on extremely long hair! Not an easy job to achieve an even tone from root to tip. An incredible transformation from dull, washed out auburn tones to this intense vibrant cerise pink. A beautifully refreshed ombre demonstrating an intelligent approach to refreshing an existing colour. Stunning copper ombre, on par with the work of our most senior stylists! A beautiful silver blonde with hints of violet. Looks stunning. An example of a very difficult colour change that the most experienced of our stylists would find difficult. Layla throws herself in at the deep end and gets fantastic results!